Forgotten Soldier has been selected for this year’s JxJ Washington Jewish Film Festival, with screenings on 12th and 13th May 2019. Forgotten Soldier has been selected for this year’s Toronto Jewish Film Festival, with screenings on 8th and 10th May 2019. There will be a screening of Forgotten Soldier followed by a Q&A at the Jewish Museum in London on 30th April at 7.30pm. There will be a screening of Forgotten Soldier at CCA Glasgow as part of the UK Jewish Film Festival on 21st March at 7.30pm. There will be a screening of Forgotten Soldier followed by a Q&A at the Holocaust & Genocide Centre in Johannesburg on 21st March at 7.00pm. There will be a screening of Forgotten Soldier followed by a Q&A at the Holocaust & Genocide Centre in Durban on 19th March at 7.00pm. There will be a screening of Forgotten Soldier followed by a Q&A at the Holocaust & Genocide Centre in Cape Town on 18th March at 6.00pm. We are delighted to announce that Forgotten Soldier has won the Audience Choice Award at the 2018 UK Jewish Film Festival. There will be a week of screenings of Forgotten Soldier at JW3 cinema in North London as part of the UK Jewish Film Festival, from 17th-21st February, with a Q&A on Wednesday 20th February. An exclusive charity screening of Forgotten Soldier will take place at Soho Hotel on 30th January 2019 in association with ORT UK. The screening will be followed by a Q&A with Lady Irene Hatter and Dr Julia Wagner, film expert & lecturer. To commemorate Holocaust Memorial Day 2019, Forgotten Soldier will be screened at Chichester Cinema on 27th January. Forgotten Solider will feature at this year’s Limmud Festival, Birmingham, on 24th December. 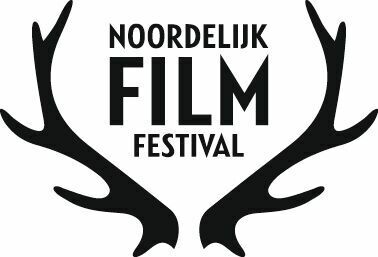 Forgotten Soldier will be appearing at this year’s Noordelijk Film Festival in Friesland, Netherlands on Sunday, 11th November at 5.30pm.